Matthew S. Cox released the first two books in his dark fantasy series Temporal Armistice in the latter half of 2017. Even though she survived a fire at age twelve, Brooklyn Amari went on to be a firefighter. She has some telekinetic ability, but that's small time compared to the mages that are able to afford to go to the Academy. At first, she doesn't think she has much special ability, but a nasty fire has her body transforming into chitinous armor for skin, a tail and wings. 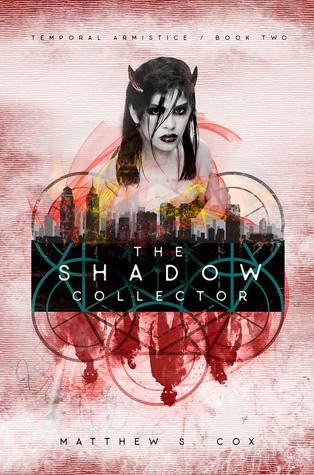 Apparently, she's also part demon; that comes in handy when the fire department needs her help on a particular job, but apparently, it also lands her in the middle of a war between supernatural races. I do really like the touches of world-building in the background, how magic and technology intersect: the AATM crystal, a rune oven (like a microwave), and using magic to aid in criminal investigations like arson. The first person style of writing here is very informal, so we see events unfold and get her color commentary along the way. Brooklyn is a fun character, full of believable foibles as well as the supernatural gifts that develop over the course of the novel. As the start of a series, there's more about Brooklyn than the actual mystery that gets her roped in as an assistant investigator for arson. We see more of the development of the relationships around her and the investigation, as well as the hints at the end of future nemeses on earth as well as with the supernatural races. 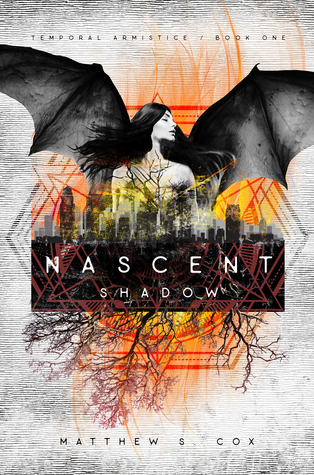 Nascent Shadow is a fun paranormal novel and a great start to the series. Brooklyn Amari works for the Philadelphia Fire Department and has some level of psychic ability. Detective Zheng needs that ability to help track a serial killer preying on the homeless and unwanted of the city. There are few leads, as the bodies are stolen from the morgue, but the fire looks suspiciously like the one Brooklyn had survived at age 12. This is the second book in the Temporal Armistice series. The first few pages sum up the important parts of the first novel for those that had missed it, explaining the extraplanar beings and the war between them. The book opens with more of Brooklyn's friends and work life so that it feels more like a slice of life with magic and potential for mayhem story. About a third of the way into the book is where the detective asks for her help, and the plot really starts to pick up.Between that and the matter of fact way that magic is integrated into the story, it moves very quickly and completely drew me in. There's more of a mystery in this novel than the first, so Brooklyn's abilities shine here more. Her cast of supporting characters are fun to read about as well, and I really look forward o reading more books in the series.